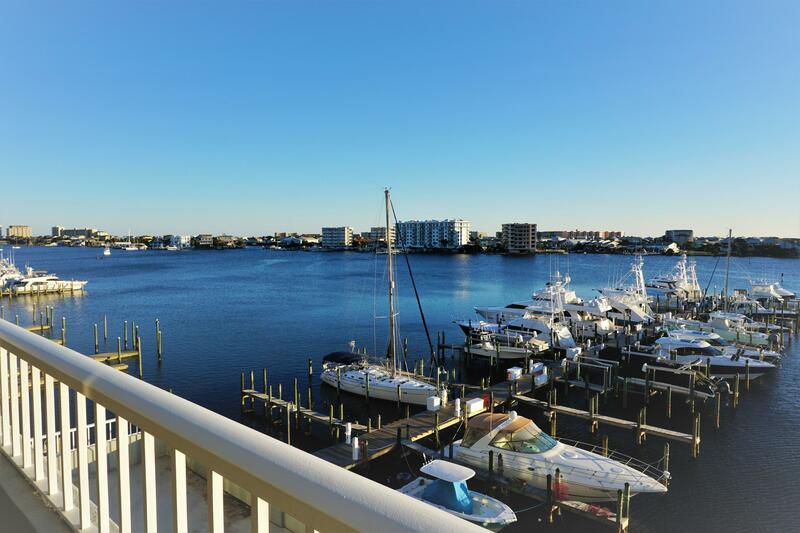 This condo in Destin Yacht Club offers the most spectacular VIEWS of the Destin Harbor & the Gulf of Mexico. This unit is professionally designed. Being sold unfurnished, but furnishings may be purchased at an additional cost. This is a middle unit with a large balcony. All high-end appliances. Live and play the coastal lifestyle with the opportunity to dock your boat on the Destin Yacht Club marina... This unit has a boat slip that may be sold separately. Bring all offers. All information deemed reliable but not guaranteed and should be independently verified. All properties are subject to prior sale, change or withdrawal. Neither listing broker(s) nor Destin Beach Brokers shall be responsible for any typographical errors, misinformation, misprints and shall be held totally harmless. ©2019Emerald Coast Association of REALTORS&reg;. All rights reserved.